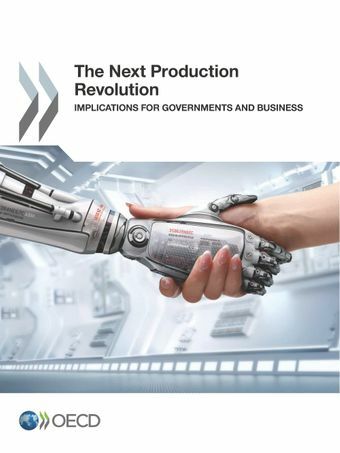 Within the framework of the 2017 Italian G7 Presidency, the Ministry of Economic Development organised the launch of the OECD’s Report “The Next Production Revolution: Implications for Governments and Business”. The Report was presented in Rome with the introduction of the Deputy Minister of Economic Development Teresa Bellanova, the participation of Gabriela Ramos, Chief of Staff and G20 Sherpa OECD, Raffaele Trombetta, Italy’s G7/G20 Sherpa, and Stefano Firpo, Director General for Industrial Policy of the Ministry of Economic Development. The OECD's Going Digital project is a multidisciplinary, cross-cutting initiative that aims to help policymakers in all relevant policy areas better understand the digital transformation that is taking place across different sectors of the economy and society as a whole. It will articulate recommendations for pro-active – rather than reactive – policies that will help to drive greater growth and societal well-being and help address the challenges of slow productivity growth, high unemployment and growing inequality in many countries.